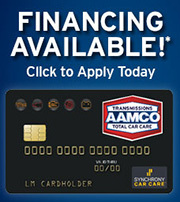 AAMCO San Antonio of Pat Booker Rd. When the light comes on, turn to AAMCO to check it out and get the repairs you need to get back on the road - lights out and worry-free! 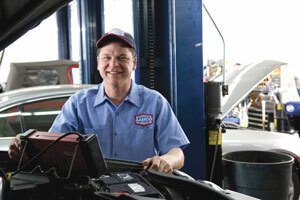 Thousands of drivers across the US, Canada and Puerto Rico trust AAMCO when their Check Engine light comes on. So our experts put together this quick guide to help you understand that mysterious glowing light! What is my CHECK ENGINE or SERVICE ENGINE SOON light? All modern vehicles are equipped with an onboard computer diagnostic system (OBDII) that constantly monitors your vehicle's major operating systems and most importantly the power-train (engine and transmission). The main purpose of monitoring these systems is to insure that the vehicle is operating at top efficiency with the lowest possible emissions. As fuel economy and emission control has become increasingly important and complex, your vehicle's electronics systems need to constantly adjust and fine-tune various parameters according to driving conditions (such as vehicle load, temperature, and air/fuel mix to name just a few). When the computer reads that any of these parameters do not fall within the acceptable range for operating the vehicle, your CHECK ENGINE LIGHT is lit to warn you that you may have a serious problem and to take your vehicle to a certified technician - such as your local AAMCO technician - to check the faults and restore it to manufacturer's specifications. What is the FREE check? Reading the codes from your car's computer system is similar to a doctor measuring your blood pressure when you schedule a visit. High blood pressure doesn't tell the doctor what is wrong with you it simply lets the doctor know there is something wrong and points him or her in the right direction to find out what it is. Just like the CHECK ENGINE LIGHT codes tell your AAMCO technician there is something wrong and points him or her in the right direction, too. If the code indicates a problem with your O2 (oxygen) sensor system, it doesn't necessarily mean you need a new O2 sensor. Additional diagnostics pinpoints the exact cause of the "trouble" code so you don't pay for parts or services you don't need. Be wary of garages that read your code and tell you immediately that you need a major repair.